What is hunger? Are you actually hungry or are you just craving food because you drove past a McDonald's? Today, Devon and I are going to share why we crave foods when we do, what hunger actually is, and our top 20 tips on how to suppress hunger and food cravings to maximize your weight loss results. Tune in and learn more as we dive into our top hacks to reduce hunger. Add more fiber-rich foods to your diet. Drink coffee; especially decaf coffee. Nibble on dark chocolate or something bitter. 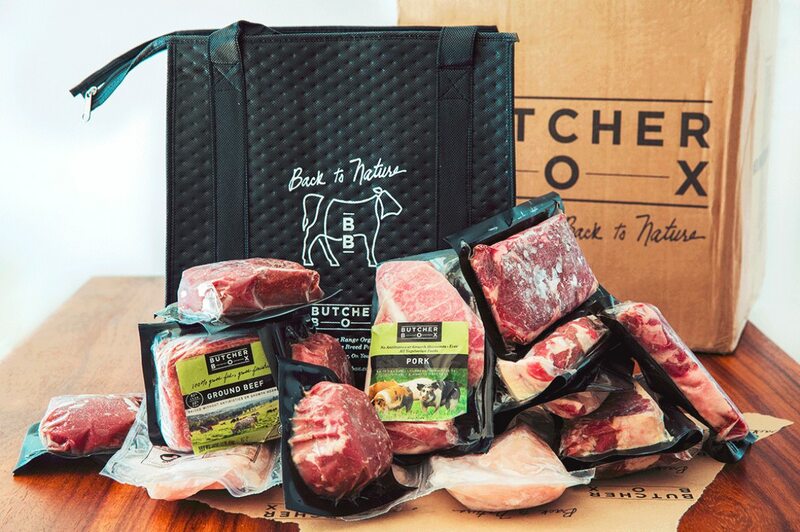 Eat more protein/lean meats during meals compared to fatty meats like buffalo wings or rib eye steaks. How eating more protein rather than carbohydrates will help increase your weight loss results. Slamming your water - drink 2-3 glasses of water 10 minutes before your meal or start your meal off with a soup. Eat mindfully by thoroughly chew your food and slowing down how much you're eating by being present in the moment. Eat solid foods rather than liquid foods (except for hearty soups) like sugary smoothies or juices. Raw ginger root; a natural appetite suppressant you can consume as tea or add to meals. Also improves leptin response. Incorporate more spices into your day to day life by cooking or meal prepping with them. Eating small plates and taking breaks. Exercise because it mutes the hunger trigger in your brain. Get enough sleep at night. Eat more Omega 3 fats like grass-fed beef, nuts, ghee, or fatty fish like salmon. Drink yerba mate which is similar to coffee or green tea. Drink green tea or green tea extract. Avoid all you can eat restaurants at all costs or go in with a plan of using a small plate, take breaks, and drink lots of water. Chew sugar-free gum without artificial ingredients. Have a shot of vinegar especially after or during a high-carb meal and help gut health. Take the most important vitamins such as probiotics or Vitamin D but be careful about which brands you select. Avoid sugar and processed foods that come in in all shapes and forms. 1:20 What today's sh0w is all about: reducing your hunger pains. 3:00 What Rob is doing to get to know himself better and how you can do the same. 3:30 Why Rob decided to build a shed from start to finish and what the process has been like for him so far. 7:15 The benefits of doing something physical that doesn't just include lifting weights. 10:30 How to reduce and control your food cravings. 11:30 When you crave food, are you actually hungry? What is hunger? 13:00 Hunger doesn't happen right away when you see food; it's a build up until you're actually hungry and need food. 14:00 Energy dips could lead to hunger too that you shouldn't ignore. 15:00 Noises your stomach will make when it's actually hungry. 15:50 Craving fast food isn't the same as being hungry. 17:00 Other false hunger triggers: emotional and physical. 20:00 You confuse hunger for dehydration and feeling thirsty. 20:25 Smelling something good automatically triggers food cravings. 21:00 Not eating enough whole foods leads to you still being hungry constantly. 21:50 Learning your specific hunger triggers and food cravings. 22:10 Other triggers that lead you to food cravings such as people and scenarios. 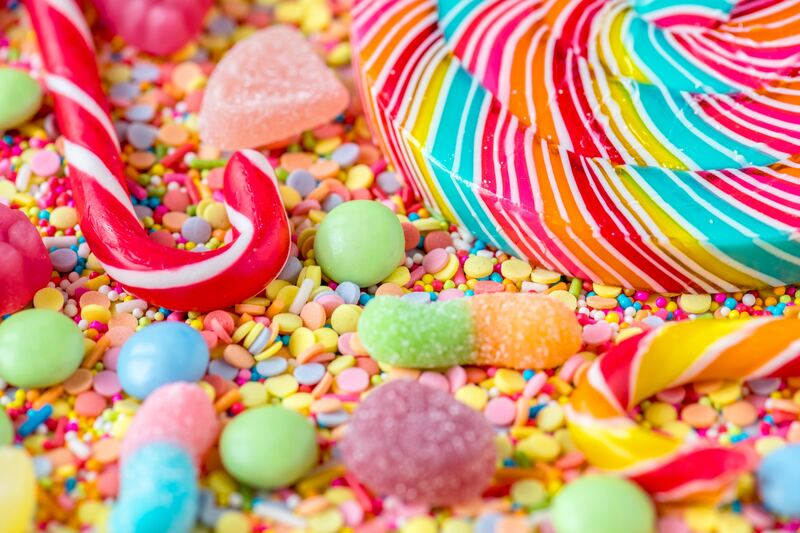 25:00 How sugar has become more and more a part of our daily lives than it was in the past; especially with celebrations. 29:30 Our top 19 tips on how to control your hunger. 30:00 1) Add more fiber-rich foods to your diet. 31:25 2) Drink coffee; especially decaf coffee. 33:00 3) Nibble on dark chocolate or something bitter. 34:15 4) Eat more protein/lean meats during meals compared to fatty meats like buffalo wings or rib eye steaks. 36:30 How eating more protein rather than carbohydrates will help increase your weight loss results. 38:30 5) Slamming your water - drink 2-3 glasses of water 10 minutes before your meal or start your meal off with a soup. 40:30 6) Eat mindfully by thoroughly chew your food and slowing down how much you're eating by being present in the moment. 42:10 7) Eat solid foods rather than liquid foods (except for hearty soups) like sugary smoothies or juices. 44:20 8) Raw ginger root; a natural appetite suppressant you can consume as tea or add to meals. Also improves leptin response. 46:20 9) Incorporate more spices into your day to day life by cooking or meal prepping with them. 47:45 10) Eating small plates and taking breaks. 49:55 11) Exercise because it mutes the hunger trigger in your brain. 51:40 12) Get enough sleep at night. 52:50 13) Eat more Omega 3 fats like grass-fed beef, nuts, ghee, or fatty fish like salmon. 54:00 14) Drink yerba mate which is similar to coffee or green tea. 55:40 15) Drink green tea or green tea extract. 56:55 16) Avoid all you can eat restaurants at all costs or go in with a plan of using a small plate, take breaks, and drink lots of water. 58:40 17) Chew sugar-free gum without artificial ingredients. 1:00:00 18) Have a shot of vinegar especially after or during a high-carb meal and help gut health. 1:01:00 19) Take the most important vitamins such as probiotics or Vitamin D but be careful about which brands you select. 1:03:20 20) Avoid sugar and processed foods that come in in all shapes and forms. 8 Weeks of Equipment Free Bodyweight Workouts in 20 minutes or less. (No gym membership required) SIMPLE Whole Food Meal Plan w/Tasty Recipe Cookbook Featuring 60+ recipes! Foolproof Schedule so you know EXACTLY what you’re supposed to do every day. 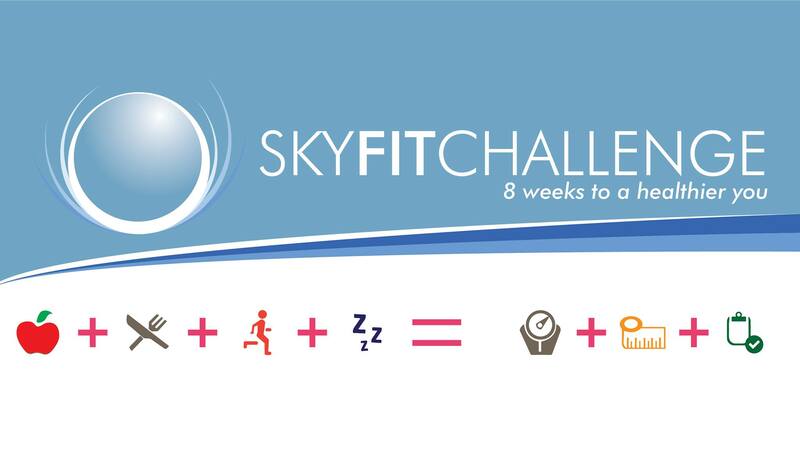 Access to our New Private Facebook Group – Sky Fit Challenge Group to share your progress with everyone as well as receive support and be held accountable. 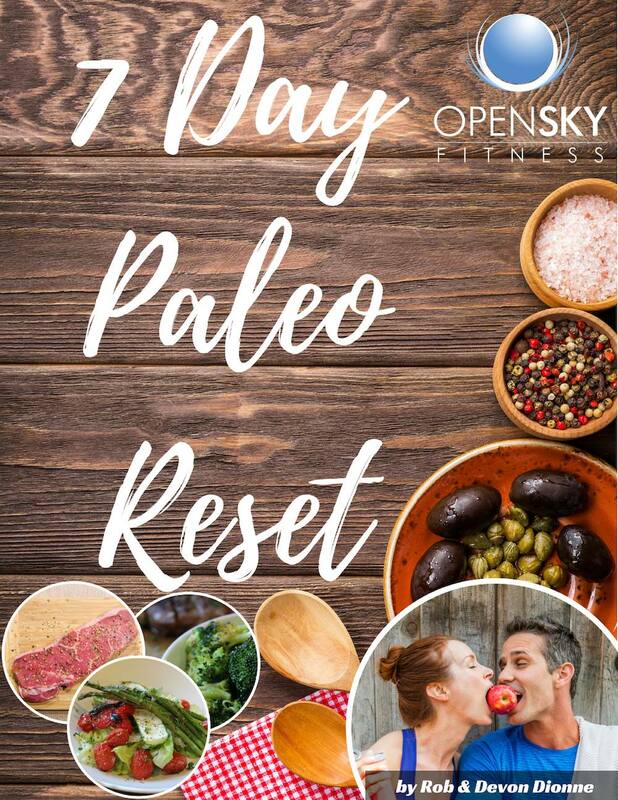 Introduction to what the Paleo Diet is all about 7 Day guide to easy Paleo recipes What batch cooking is and how to incorporate that into your lifestyle Various content resources including generational eating habits, the importance of building a wellness community, and how to begin a new healthy lifestyle. How to make an impact on your life and life a life full of wellness. Look Out For Our Upcoming Throw Back Thursday Podcast Episodes! Thanks for listening/reading episode 224 - How To Suppress Hunger To Maximize Weight Loss! We hope you have gained more knowledge on how to be a healthier you.